A research was recently conducted by BMC to study the disease pattern in Mumbai, to assess drug requirements and suggest measures to improve delivery of medical services and health infrastructure facilities run by the MCGM. People with psychological disorders accounted for the majority of patients admitted to municipal healthcare centres in Mumbai for treatment followed by those suffering from high blood pressure and diabetes, said a civic report. The report is based on an extensive research conducted over a period of two years on the types of ailments and morbidity patterns of patients admitted in municipal health centres. 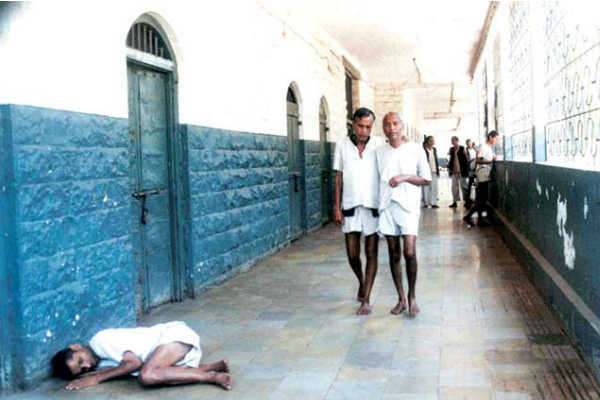 According to the report, 31 per cent of the patients admitted in these hospitals suffered from psychological disorders followed by high blood pressure and diabetes (23 per cent each). Patients with dog/ other animal bites comprised 9.95 per cent. Rest of the patients were admitted for treatment for dengue, asthma and malaria, among others, it said. The exercise was carried out by civic health officials on instructions of BMC Municipal Commissioner Ajoy Mehta. The quantitative data for the report were collected between October 2015 and September 2017 from all the three levels of healthcare facilities run by the Municipal Corporation of Greater Mumbai (MCGM), said a statement issued by the civic body. These facilities consist of 175 dispensaries (primary level), 15 peripheral hospitals (secondary) and four tertiary care hospitals — KEM, Nair, Sion and Cooper. During the two analysed years, the quantitative (retrospective) data of 72.61 lakh patients admitted in civic-run health centres were collected, the statement said. Besides, qualitative (prospective) data were collected for seven days in November 2017 from all the three levels of healthcare facilities run by the MCGM, it said. Patterns of diseases of a total of 73.74 lakh patients were analysed and discussed at a workshop recently organised at the LTMG Sion Hospital. The report, titled, ‘Study of the Morbidity Patterns in the MCGM healthcare facilities of City of Mumbai,’ has been submitted to the BMC administration, a senior civic official said. Mehta will conduct a special meeting on the report, he said. The objectives of the research were to study the disease pattern in the city, assess drug requirements and suggest measures to improve delivery of medical services and health infrastructure facilities run by the MCGM, he said.